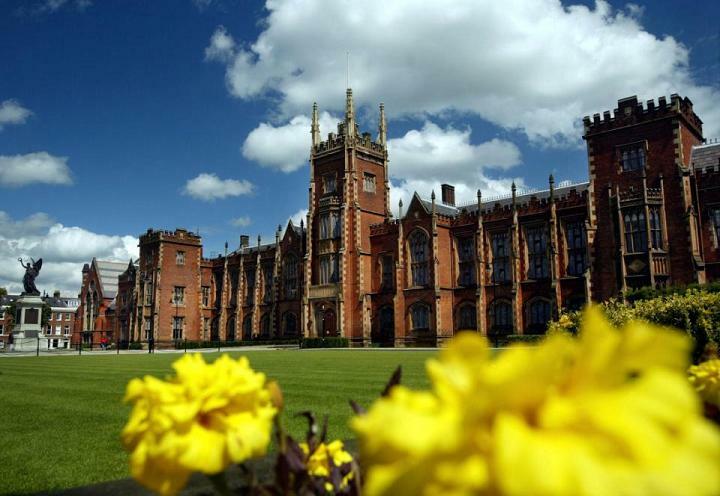 INTO Queen’s University Belfast offers foundation year, diploma pathway, graduate diploma pathway and English language courses specifically designed to prepare you for study at Queens university Belfast. With small classes and state-of-the-art facilities, dedicated teachers and university-style teaching, the Centre provides an innovative learning environment. A member of the Russell Group of the UK’s 20 leading research-intensive universities, which include Oxford and Cambridge, Queen’s is currently the UK’s Times Higher Education Entrepreneurial University of the Year. It also ranked in the UK top 20 in 22 subject areas (The Times Good University Guide). As a student at Queen’s you will have access to some of the best facilities in the UK and Ireland. These include our £50 million McClay Library, one of the finest and best equipped in Europe, our recently refurbished Students’ Union – home to more than 150 student clubs and societies – and our Physical Education Centre, which has been chosen as a training venue for the 2012 Olympic Games. INTO Queens’ academic programs have been carefully designed with the Queens University to help give the highest quality preparation for undergraduate and postgraduate study. We offer a range of programs and courses for international students who need additional support to meet the academic and English language requirements for direct entry to university. Small class sizes, cutting edge technology, countless learning resources, and the very best teachers make studying at INTO Queens University Belfast both fruitful and fun. We ensure that you will get the individual attention you need during your classes. The INTO Queens International Foundation program prepares you for direct entry to the first year of an undergraduate course at Queen’s University or at other UK universities. The program is designed by NCUK and recognized by Queen’s University Belfast. Progression to Queen’s University is guaranteed, subject to successful completion of the relevant Foundation pathway and meeting the specified grades for entry to your selected degree program. Students who successfully complete the International Foundation program are also guaranteed a university place in their chosen field of study at one of NCUK’s owner universities including Manchester, Sheffield, Liverpool and Leeds. The INTO Queens International Foundation program will enable you to develop the English language and study skills needed for academic success, as well as providing contextual, subject-specific studies that relate to the academic content of your chosen undergraduate degree program. All students will complete core modules in English and Study Skills and ICT. Additionally, around two-thirds of the program is devoted to academic modules specific to your pathway and chosen degree program. The INTO Queens International Diploma is equivalent to studying the first year of an undergraduate degree at a UK university. Successful completion offers direct entry to the second year of a relevant undergraduate degree in business or engineering at Queen’s University Belfast. For entry into the second year of selected Engineering degrees at Queen’s University Belfast. The INTO Queens International Diploma program is designed and validated by NCUK and recognized by Queen’s University Belfast. Successful completion of the International Diploma offers students the opportunity to progress to the second year of an appropriate degree at Queen’s University, subject to gaining the relevant grades for entry. Students who successfully complete all modules on the International Diploma are also guaranteed a university place at one of NCUK’s owner universities (except Manchester). The INTO Queens Graduate Diploma program offers international students who do not qualify for direct entry, a pathway into postgraduate studies at Queen’s University. It is a full-time academic program that will prepare you for postgraduate study on selected masters programs in Queen’s University Management School. International students who have a recognized undergraduate qualification, which does not satisfy the entry requirements for direct entry onto a Queen’s masters program and who cannot show they have the required English and academic skills for direct entry, are eligible to apply. For entry into masters degrees in Management, International Business, Sustainability and Corporate Social Responsibility and Environmental Management. For entry into masters degrees in Business Economics, Accounting, Finance, and Risk Management and Financial Regulation. If you successfully complete the Graduate Diploma program and meet the specified grades for entry to your selected degree program, you will be guaranteed entry to at least one of the designated postgraduate degree programs in Queen’s University Management School.